When: March 16, 2019 (Saturday), 1-3 p.m. 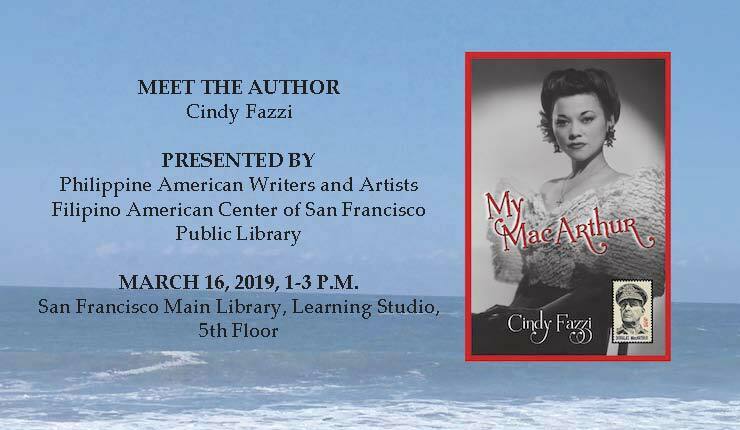 Details: Cindy Fazzi, author of the historical novel, MY MACARTHUR, will talk about Gen. Douglas MacArthur’s little-known romantic affair with Isabel Rosario Cooper, a young Filipino actress, in the 1930s. She will read a brief passage from the novel and field questions from the audience. Books will be available for purchase.